It’s a sad day in the bloompapers.com office. 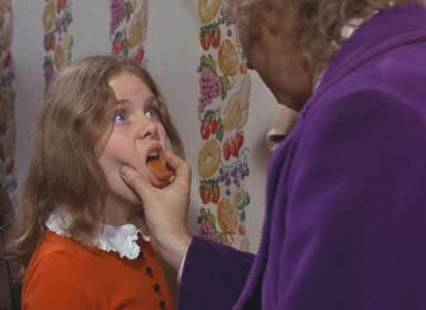 Peter Ostrum, the actor who played Charlie Bucket in the original Charlie and the Chocolate Factory film, has revealed that the ‘Lickable Wallpaper’ featured in the classic children’s film did, in fact, taste of wallpaper. It comes as a crushing blow not only to the 30-something generation that grew up believing that snozberry was a real fruit, but also those of us in the wallpaper industry who used to believe that anything was possible. We live in hope for that piña colada flavoured wall covering!